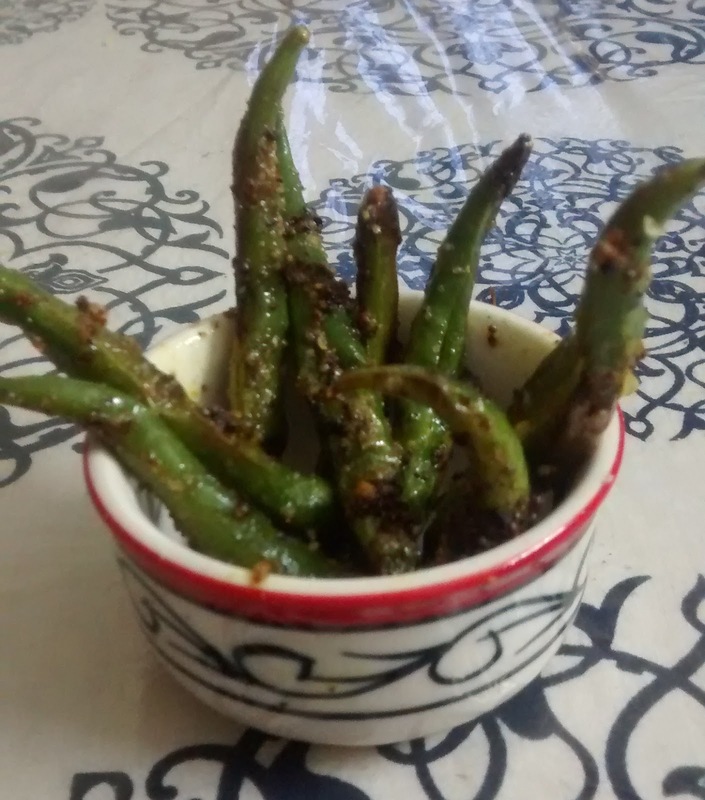 This chutney or dip is a very popular one ,usually served with Indian snacks like dhokla ,samosa etc .This dip is actually an integral part of all chat items popularly savored in India.There can be many versions of the same ,another preparation can be one where dates in place of jaggery give it the desired sweetness.I shall share the date chutney recipe soon. Kanda poha is a very popular Maharashtrian breakfast.Kanda ,which is the Maharashtrian name for onions and poha is flattened or beaten rice.This quick to make breakfast requires very few ingredients but does not compromise in taste.Kanda poha is savoured with jalebi in parts of India.In my home this preparation is enjoyed in breakfast or finds a rightful place in my kids lunch boxes. A mixed veg with spinach leaves,is what I am about to share today.This is a winter special recipe,as it includes all the vegetables available in winter.It is a very mildly spiced recipe ,and the unique thing in this recipe is that all the vegetables retain their own distinctive flavour and taste.A mixed veg is referred to as a chorchori in Bengali ,hence the name palang saker chorchori. Eggs are my families all time favourite,they are savoured in all forms,at any time of the day.They are my favourite too because they can be cooked very fast with very little preparation.Today I am sharing with you a very quick recipe of eggs.They taste delicious and they look great too. 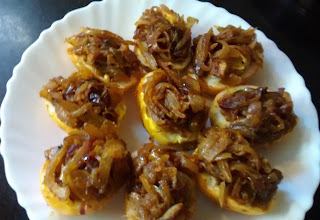 Jack fruit seeds are a favourite at my home,and I usually make quite a few dishes using them.Once cooked they taste sweet ,which makes them so yum.I have shared a very interesting recipe of jack fruit seed recipe before this ,jack fruit seed parcels.This is a simple one ,and goes very well as a side dish with rice. 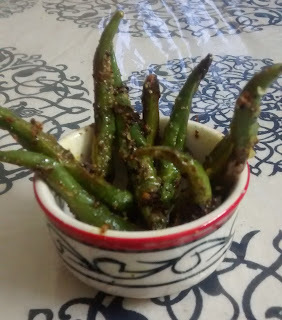 This is one post I wanted to share since a very long time.It is not a recipe of any one dish but a recipe for many dishes together.This is my way of keeping my kids happy as well as keeping myself satisfied of giving a nutritious lunch to my kids.This procedure is generally done in my kitchen on Sunday afternoons,to enjoy perfectly smooth running early mornings . Hi folks,I am back once again with a nutritious lunch box idea.Today I am not sharing the regular paneer bhurji that you get at the restaurants.this one is loaded with vegetables,which add to the flavour ,texture nutrition and also some added crunch to the rolls.This recipe requires very little spices,and little oil.It can get prepared in a jiffy.I would still suggest that if you have to pack lunch boxes too early ,then you can actually make the bhurji the previous day ,and use it to fill in the chapati the next morning. I am sharing with you my favourite rice recipe today.I love it for many reasons,I simply love the flavour,then it is prepared in very little rice.It can also be prepared with left over rice.It can be packed in kids lunch boxes without any accompaniments. What else,yes,I can always convert it into the egg variation ,the prawn variation or the chicken fried rice. Hi folks,today I am sharing a very simple recipe ,which is best eaten on a day when one wishes to have simple home-cooked food.This is a non spicy recipe,yet very flavorful and nutritious .It is a dal cooked with veggies,so can double up as a side dish for roti or chapati too. Rohu fish cooked in a creamy yogurt sauce is a common preparation in Bengali households,in special occasions.In addition to the smooth texture of the gravy and the fish,the tangy taste by the yogurt makes it a delicacy.The gravy is a combination of sweet ,sour yet hot taste ,flavored by green chilies ,garlic and garam masala.This is best enjoyed with plain steamed rice.